Even though summer is winding down, wildfire and major storms can still strike without a notice in Colorado’s high country, prompting Hill’s Pet Nutrition to remind pet owners of how they can prepare themselves and their pets in case of an emergency. 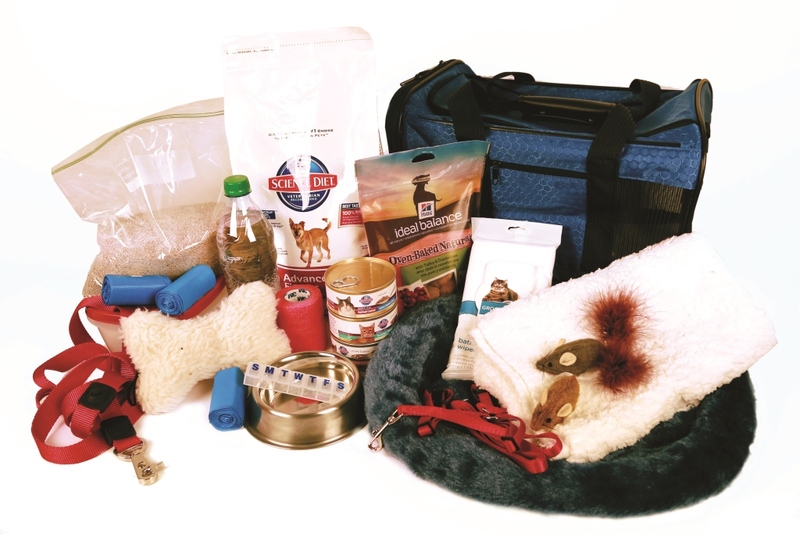 Prepare a “Pet Emergency Go Kit” of pet supplies that is readily accessible in an emergency. Your Pet Go-Kit should include: first aid supplies and guide book; a three days’ supply of pet food (in a waterproof container) and bottled water; a safety harness and leash; waste clean-up supplies; medications and medical records; a contact list of veterinarian and pet care organizations; information on your pet’s feeding routine and any behavioral issues; comfort toys; and a blanket. When disaster does strike, the Hill’s Disaster Relief Network is positioned to quickly respond with shipments of pet food to communities impacted by disaster. Hill’s established the first-of-its-kind national network in 2013 as an extension of its Food, Shelter & Love™ program that provides discounted Science Diet® pet food to more than 800 shelters. In its first year, the Hill’s network has delivered free pet food to 50 shelters and veterinary clinics across the country in response to 11 major incidents – including floods in Colorado, fires in Idaho and Arizona, tornadoes in Oklahoma and Kansas, the fertilizer plant explosion in Waco, Texas, and most recently, the mudslide in Washington and tornadoes in the central and south regions of the country. Since 2002, the Hill’s Food, Shelter & Love™ program has donated more than $275 million worth of Hill’s Science Diet® brand foods to over 1,000 shelters nationwide and helped more than 7 million pets find new homes. Every day, the program helps feed more than 100,000 homeless pets across the country. Through the Disaster Relief Network, Hill’s has increased the reach of its assistance to pets, pet owners and communities during natural disasters and emergencies. A consumer resource page on disaster preparedness and safety is at the Hill’s website, along with more information on the Disaster Relief Network. To request assistance during an emergency, shelters can contact DisasterRelief@hillspet.com.